I was recently sent some of the most beautifully packaged natural skincare you can imagine, and I just had to share my thoughts with you! Buddha Bodycare sent me two of their natural oils to test out; the Rose Therapy Serum and the Fabulous All Over Body Oil, which I am adoring. 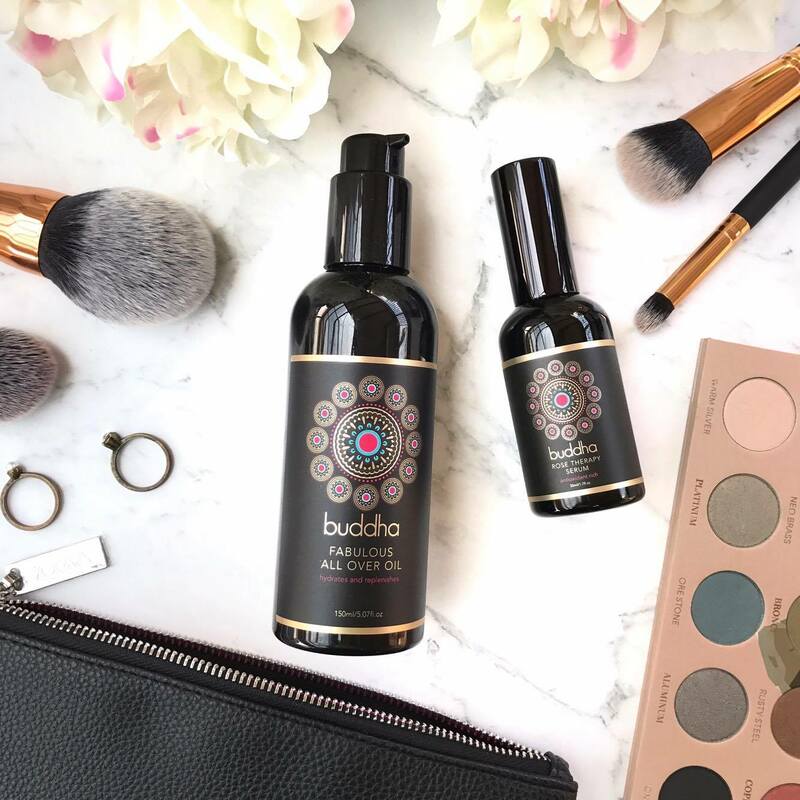 Buddha Bodycare is an Australian company that believes in using raw, natural ingredients to deliver potent active ingredients only Nature can offer. Their range uses nurturing oils, clays and botanicals to enhance, heal and beautify the skin, free your inner beauty and restore your outer natural glow. All products are consciously earth friendly, vegan, palm oil free and cocooned in photonic glass bottles and sustainable recyclable packaging. Lets talk about the packaging! How gorgeous is that black bottle with their black and gold label?! I can't think of a brand that deserves more to be displayed front and centre on a bathroom vanity. Super nourishing botanicals and raw cold pressed oils hydrate and revitalise the skin. Healing antioxidant rich Rose hip bursts with essential fatty acids for cell regeneration. Neroli calms the mind. This serum is packed with gorgeous natural oils and is super hydrating on my dry skin. It has a beautiful rose geranium and rose otto scent which I enjoy inhaling each time I spread this over my skin. I apply a few drops of this after my moisturiser to really seal in the moisture and add a dewy glow. I am super obsessed with the black glass packaging of this serum! Indulge yourself with our sensuous blend of Sweet Almond oil infused with Rose Otto, Rose Geranium and Patchouli to balance, nurture and heal the skin. This body oil really is indulgent! It has a lovely rose and patchouli scent and spreads so easily over the skin to cocoon it in a layer of moisture. I prefer to use this alone straight after a shower, on damp skin so it penetrates quicker. It is also great used on top of a fragrance free moisturiser to add a light scent and a beautiful glow to the skin. 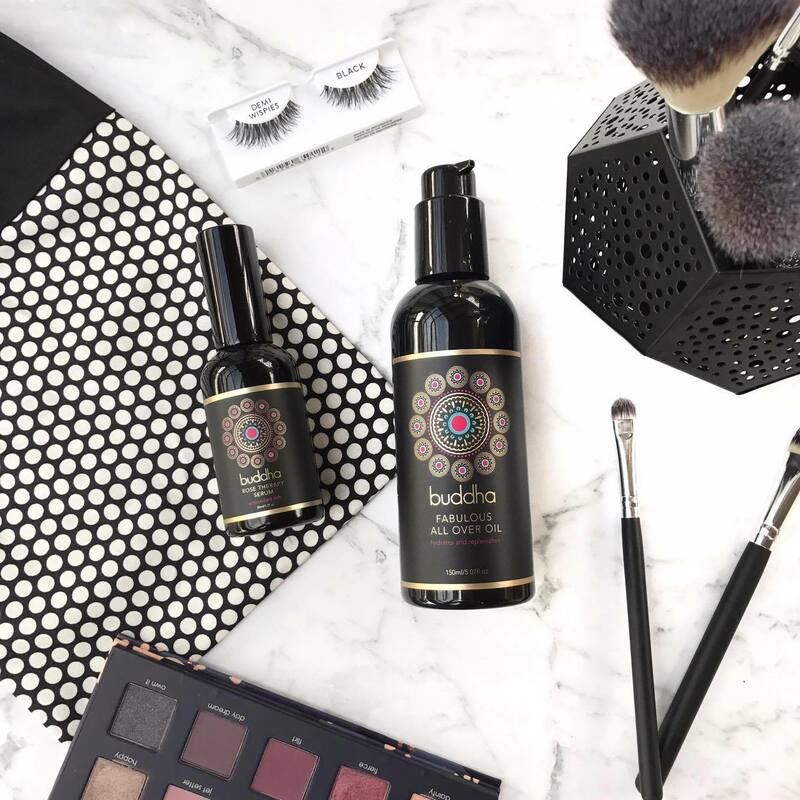 If you are looking for an Australian made, naturally based skincare brand that will really knock your socks off, from the packaging, to the product inside, check out Buddha Bodycare.